Rent Hilton Virginia Beach Ocean Front | Corporate Events | Wedding Locations, Event Spaces and Party Venues. Plan memorable special events in style with our Hilton Virginia Beach meeting space. From anniversary parties to bar and bat mitzvahs, reunions, birthday celebrations and more, the events we can handle are as vast as our onsite amenities. The Hilton Virginia Beach Oceanfront is the ultimate Virginia Beach conference hotel for elegant meetings on the boardwalk. Featuring a 7,100-square-foot oceanfront grand ballroom and six smaller rooms of varying sizes and shapes – perfect for boardroom meetings and breakout sessions – our hotel combines style and functionality for exceptional occasions. 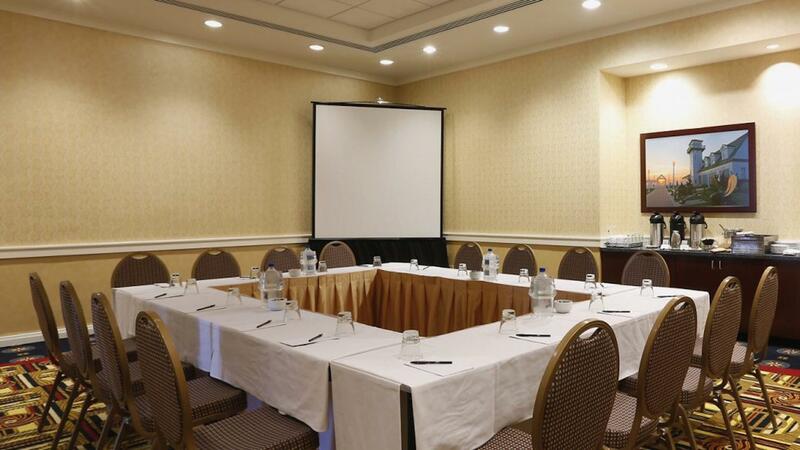 In addition to our grand ballroom, the Hilton Virginia Beach Oceanfront also features a series of Cottage Row meeting rooms for mid-size meetings. Several of these rooms offer outdoor terraces with ocean views. As soon as you see the Hilton Virginia Beach Oceanfront, you’ll want to say “I do.” With over 12,000 square feet of oceanfront event space, award-winning culinary offerings and planning services, our hotel can accommodate up to 1,000 attendees for wedding ceremonies, receptions and showers. Each gathering will be appointed a dedicated event planner to assist with all the details and will help make your event unforgettable. From exquisite menus, to flowers and room blocks, your event planner will ensure every expectation is not just met but exceeded.